We take pride at eEuroparts.com in offering you the widest selection of parts possible. Among the parts you will find here are Volvo 265 parts. No matter what type of vehicle auto part you may be searching for to outfit your Volvo 265, you will find it in our extensive inventory. In 1975, Volvo released news that the company would be promoting a new version as part of their lineup for the year. That version was the Volvo 265. The introduction of this model marked a significant change for Volvo. This would actually be the first time that the company would be offering an estate vehicle that would feature a 6-cylinder engine. 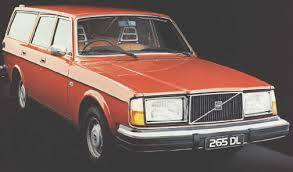 The design for the new Volvo 265 was based on a more practical design that was meant for the Volvo 245. With the addition of the 6-cylinder engine to that base design, the new Volvo 265 provided consumers with enhanced power. This 5-door estate vehicle was first produced in 1975 and continued in production until 1985. In total, more than 35,000 Volvo 265 vehicles were produced during that time period. The vehicle included hydraulic disc brakes on all wheels. The introduction of the Volvo 265 served to further solidify Volvo's position as one of the leading manufacturers of estate vehicles in the world. Today, if you are looking for Volvo 265 parts, it is important to ensure you are purchasing authentic parts. 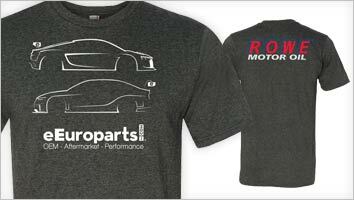 You can rely on eEuroparts.com to provide you with a wide selection of authentic Volvo parts.